I know I havent been catching up a lot on design stuffs. Not that I will, but this article I chance upon on DesignTaxi just had to come on to the blog. 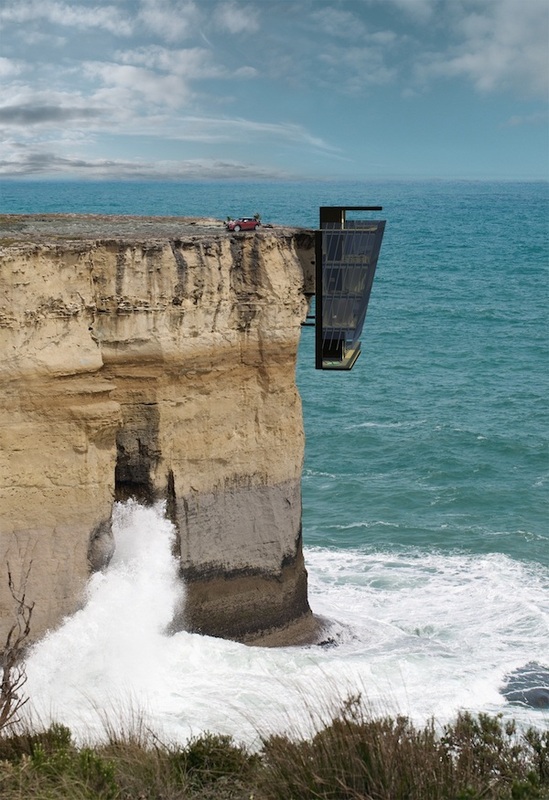 First thing that came to my mind, “Man, I want that!” A house so dangerously mounted on to the edge of the cliff! Check this house from the Southwest coast of Victoria, Australia. That view! 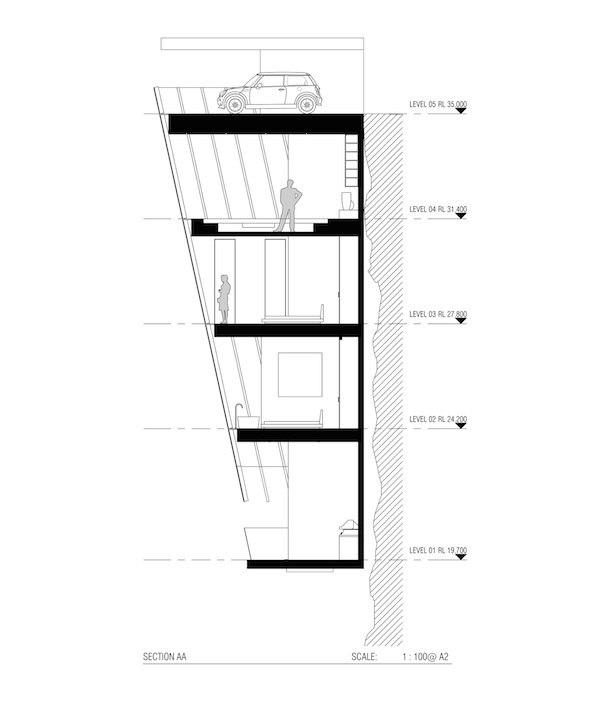 At this point, the design had significantly outweighed practicality. 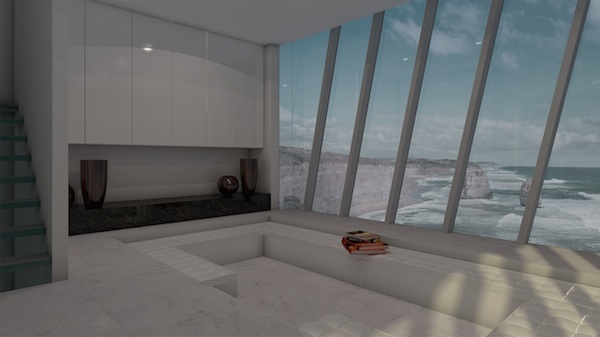 The Cliff House, is designed by Modscape Concept in an attempt to answer to the amazing needs for an unique yet adventurous clientele. Definitely a very intense moment for those with a phobia for heights but a very outlandish way of living for those who truly appreciate heights! 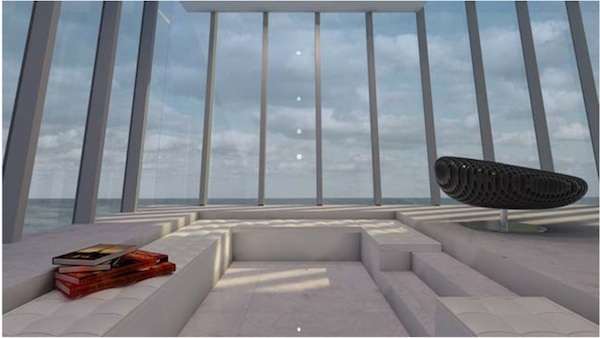 As you can see, the highest floor is basically designed for the vehicle while the different levels portray a different segment of the house. Interestingly, the house diverges down narrowing as it moves lower. One must be pondering how this structure can actually be securely mounted to the edge of the cliff. To answer that, the designers have used engineered steel pins to ensure security has not been compromised. Awesome!